Boys ranches can help troubled boys rediscover a positive way of thinking and acting, for a better future. Find out notable features of Boys Ranches – Christian therapeutic boarding schools and therapeutic schools. As your son transitions from being carefree to the sometimes turbulent teen years, you may notice some significant changes in his personality and behavior. No matter how carefully you raised him, he will begin making his own decisions, and you aren’t going to agree that all of them are the best choices for him. He may fall in with the wrong crowd, start experimenting with drugs and alcohol, or exhibit rebellious or withdrawn behavior at home or in school. The hardest part is that when this happens, he often doesn’t want to have your help, and in fact, he might directly rebel against what you are trying to accomplish. When your son needs to make a change in his life, boys ranches are available to help him reset and rediscover who he really is, in a safe, nurturing, and disciplined setting. Children and teenagers today are, on average, much less active than boys that age used to be. Technology has provided so many fun and easy ways for boys to entertain themselves that they are less likely to turn to the outdoors and physical activity as their primary hobbies or sources of entertainment. That’s why boys ranches are so successful at helping boys get out of their harmful ruts and patterns and develop new skills and useful character traits. First and foremost, boys are going to be engaged physically by working with their hands and doing manual labor at a ranch. Countless studies have shown that vigorous physical exercise improves mental health by boosting serotonin and endorphin levels, making boys feel better right away. Physical exercise also promotes increased energy, which can help boys feel motivated to engage in other activities and invest in meaningful relationships. These are all going to be critical to promoting overall health of the mind, body, and spirit. Working on a boys ranch also helps teens to develop a drive and work ethic, which is something they may not have been pushed to do at home or in school. Because there are so many jobs that must be completed every day at boys ranches, the teens quickly learn how to work hard and focus on the tasks that need to be completed. They are met with success on a daily basis, which rewards their hard work and helps boys internalize their newly discovered work ethic. When they take this task-oriented perspective home, boys will have increased success in school, at home, and later in life as they start a career. Boys help discover and embrace new interests during their time living and working at the ranch. They are exposed to many areas of focus, including caring for animals, working with machinery, growing vegetables, and helping with other tasks. Each of these activities at boys ranches can help introduce boys to new hobbies that they can then take back home with them to maintain continuity and resume their journey of rediscovering who they are and what they care about. You will find many different types of boys ranches across the country, both near and far from your home. Each one has its own history and has a carefully crafted approach to helping boys get back on track. Despite their differences, most boys ranches share several characteristics that can make you confident that they will be helpful for your son. A fully residential program gets boys out of the settings in which they were having problems, and gives them a fresh start in a new place with new people. Boys often get stuck in ruts as they hang out with friends who are bad influences, are in schools where teachers are not respected, or are set on rebelling against their family. When they go to live at a ranch, boys are suddenly taken into a completely new setting where they don’t have any harmful habits or biases for or against specific people. This change in environment can be surprisingly helpful for catalyzing a change in your son’s personality and behavior. Boys ranches work hard to create a nurturing environment by gathering together talented mentors, teachers, coaches, and other staff members who all work together to support boys and transform their lives. When the people who see your son at different times of the day are all on the same page and working together, they can bring a consistent approach and communicate with one another to help your son reach his full potential. While boys are living on a ranch, they are taken into an entirely different classroom setting, often with students of a wider age range. Because of this, most boys ranches implement a form of pace-based education that allows students of many ages to thrive in the classroom and work through material at their own pace. Often, this freedom allows boys to catch up when they may have gotten behind at home. Plus, older boys benefit from helping younger ones, and the younger ones benefit from having older role models in the classroom. If your son is in need of a change, Gateway Academy for Boys is here to help. 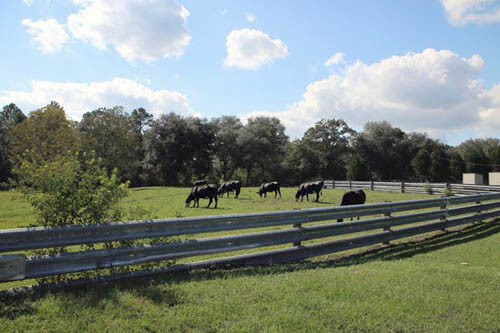 Our Christian boys ranch and boarding school is located on 167 acres in Bonifay, Florida. We have roots as a military academy, but our vision has moved us in the direction of agriculture and vocations, focused specifically around our ranch operations, to help boys leave with skills and hobbies to help them find purpose in their life. As a Christian boys ranch, we incorporate chapel services, Bible studies, prayer, and discipleship into our schedules and our approach to transforming the life of each boy who comes to Gateway Academy. We are a part of Teen Challenge, which is a trusted model that has been thriving for decades by providing a truly holistic approach life transformation through engaging the body, mind, and spirit. We believe that there is hope for every boy through relationship with Christ, and all of our staff live out their Christian faith every day. Nothing makes us happier than seeing the lives of young men transformed for the glory of God. In your search for boys ranches, we strongly encourage you to take a closer look at Gateway Academy for Boys. We have seen hundreds of boys transformed during their 15 months at Gateway Academy so they can return home to their families and truly be who God created them to be. Our open enrollment allows boys to start their journey at any point in the year, so contact us today to learn more about our program and get all of your questions answered. You can call us at 850-547-9011 or email us at admissions@christianmilitaryschool.org to start your son’s journey at Gateway Academy. Should you need help finding emotional growth schools, boarding schools, teen boarding schools or boarding schools, please let us know. Boarding schools for boys, like this Teen Challenge military school for boys and boys homes, offers behavioral therapy for troubled teen boys and teen counseling in a structured boarding school setting. Unlike most boot camps and military schools, Gateway is a long-term residential program that helps at-risk teenage boys; boys with anger, oppositional defiant disorder (ODD), attention deficit disorder (ADD), attention deficit hyperactivity disorder (ADHD). Gateway no longer operates like boot camps or military schools but retains the structure and discipline of military academies. Our school is similar to military schools and can be referred to as a “school for troubled teens”. Such troubled teen schools and residential treatment programs for teens are often quite costly, but this one of few military academies and residential schools for teens that is affordable.